Hope everyone’s weekend was happy as can be. I went out of town to a bridal shower in honor of my sweet cousin Susan! The shower took place in the town where she is from, which is also a town I grew up visiting my entire life. 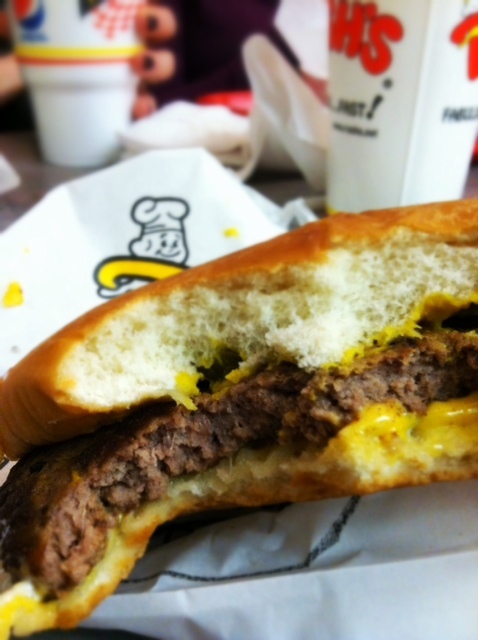 Now I am not much on fast food as a rule, but all the places I grew up going to in Columbia, SC are just that. I couldn’t miss a trip down memory lane so I made multiple exceptions! I started my days off like this so that I could feel a little better about the bad choices I constantly made! 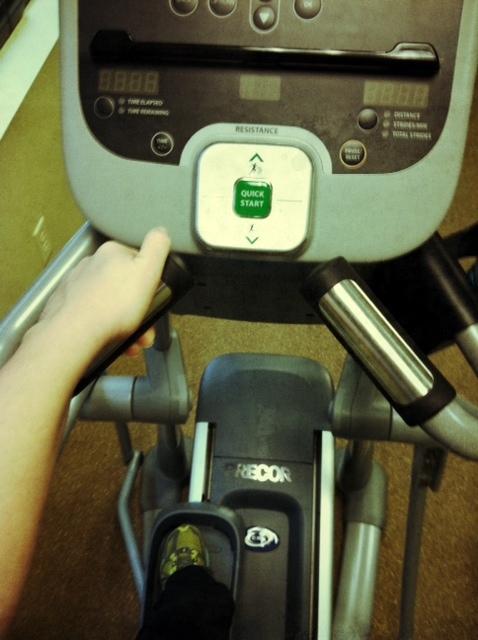 To add to my super exciting life, they had my favorite workout machine at the hotel. Hampton Inn for the win. One day while we were there, I ate breakfast, brunch, lunch and dinner. I wish I was joking. 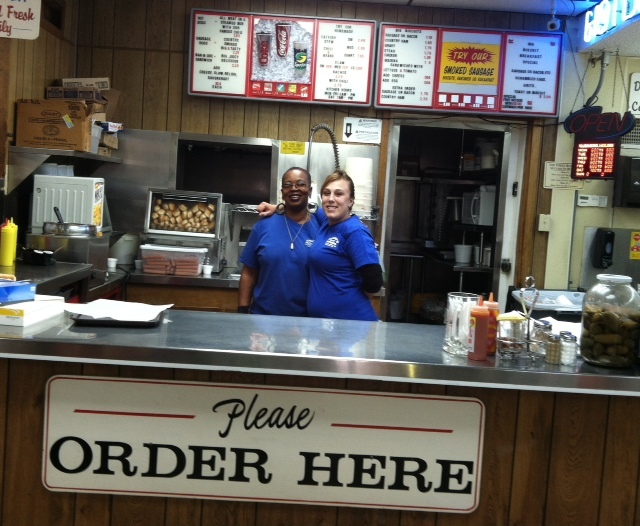 Lunch was two hot dogs “all the way”, served up by these lovely ladies from this Exxon Station, Jimmy’s Mart. This place should be on Diners, Drive In’s and Dives. Apparently they make a fantastic Catfish Stew, but I have standards and have never tried it. I’m not even kidding. It is amazing the rules you will put aside for a childhood memory. 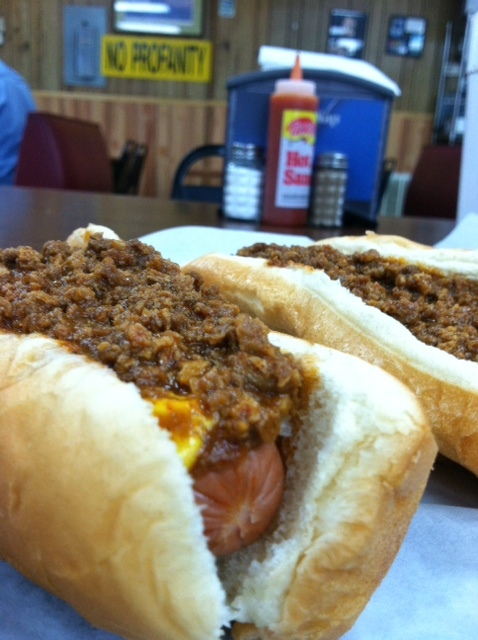 Best hot dogs on earth! Dinner was Rush’s, a South Carolina fast food chain that makes you feel like you stepped right into the 80’s! 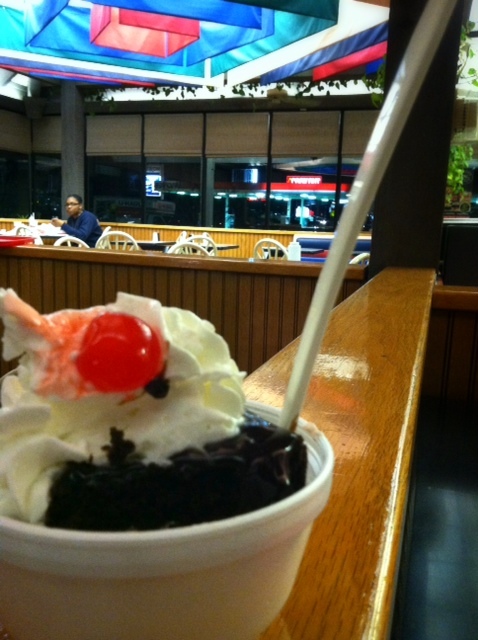 They serve the best cheeseburgers and make a true hot fudge cake, which are hard to find these days. I covered new experiences too. 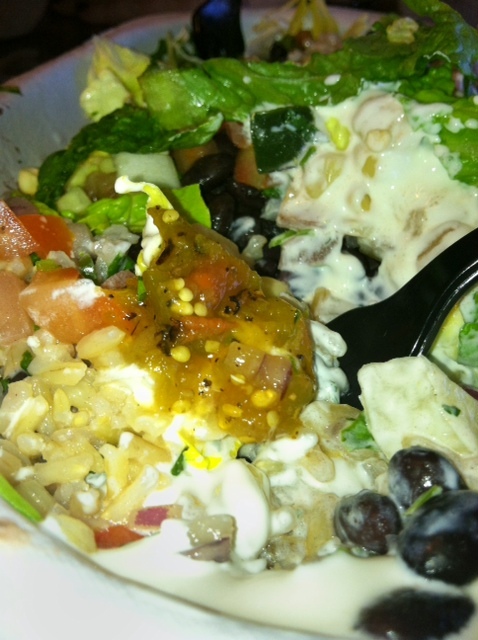 I had Chipotle for the first time and loved it!Hello-Veggie Burrito Bowl. 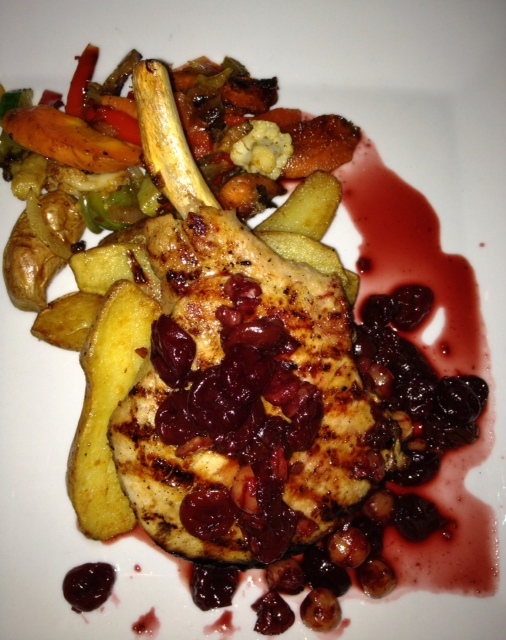 And I had a meal at a local Italian restaurant, Rosso’s, too! Now, I’ll be eating at home for the foreseeable future although I think I am still full. If you are like me and (typically) try to resist take out- then this week, take a cue from my recipe sub-category that I like to call “Don’t take it! Make It! 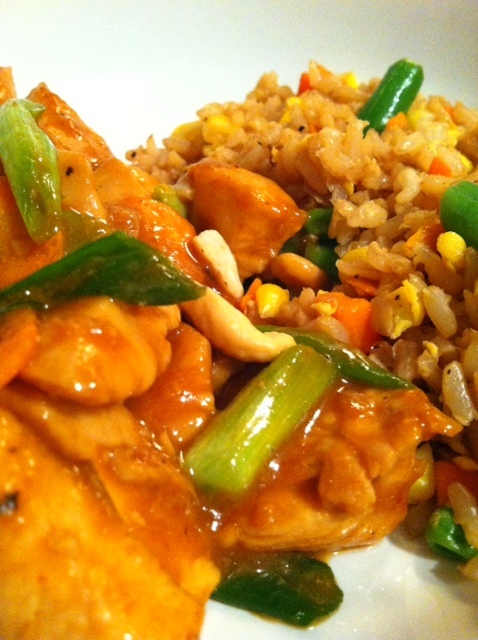 ” This is the Chinese Take Out Edition. 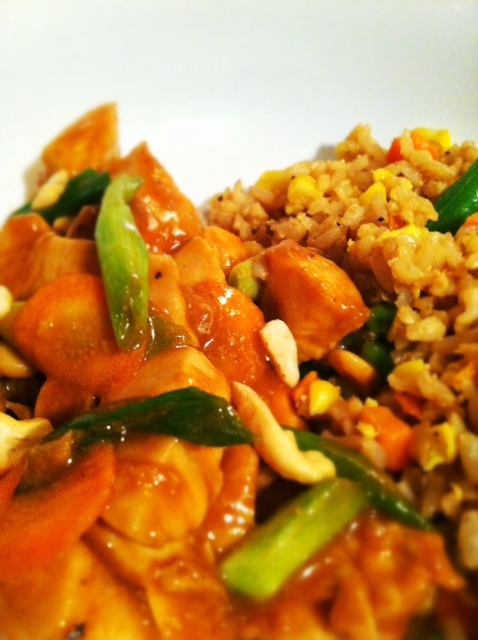 I really like Chinese takeout but often times, it leaves me with a fast food hangover. It’s just that it can be so greasy and so full of salt that I feel like my mouth is the Sahara and there will never be enough water. I combat this problem with homemade takeout. 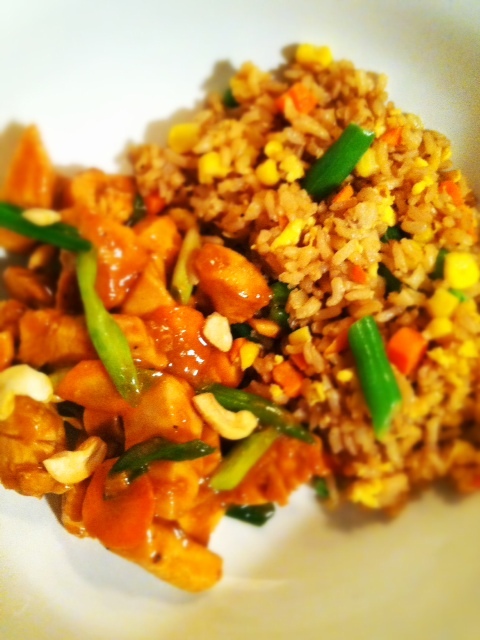 Today, Kung Pao Chicken. No fast food hangover here. 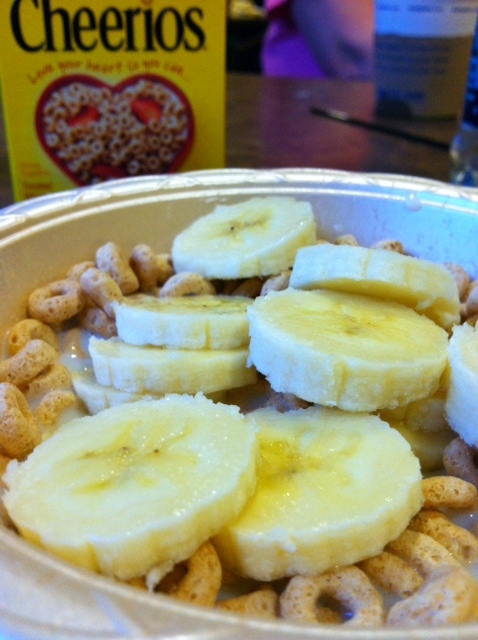 While it still has more salt than the average meal, it left me feeling light, satisfied and excited about leftovers. Add the remaining sauce, I used 2 tablespoons of Sriracha but you could definitely use more (or less!) and carrots. In a small bowl, combine: garlic, pepper, corn starch two tablespoons of water, sriracha, brown sugar, soy sauce and rice wine vinegar. Whisk until blended. Pour 1/2 the liquid into a large bowl and add raw chicken. Toss to coat and refrigerate for 30 minutes. Add the 1/4 cup water to the remaining liquid. Whisk and set aside. 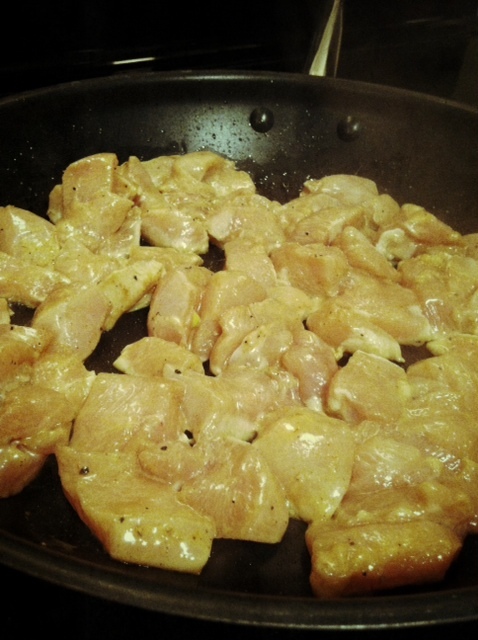 In a large skillet over medium-high, heat sesame oil. 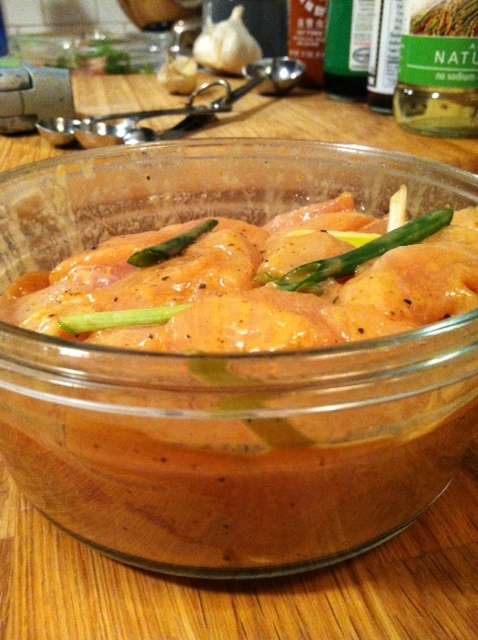 Add marinated chicken and cook through, about 8 minutes. Add remaining liquid mixture and carrots and cook 2-3 minutes until the liquid thickens. 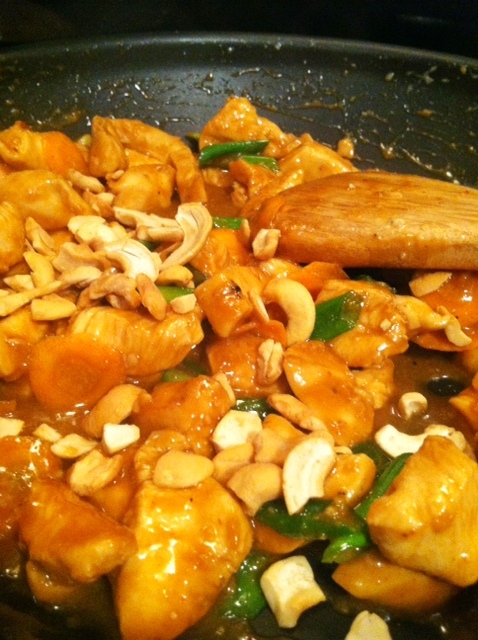 Sprinkle with green onion and cashews and toss together. 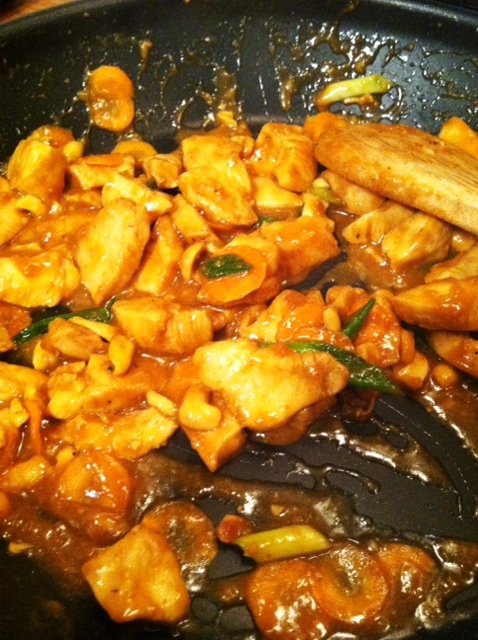 In a large skillet over medium, heat sesame oil. Add garlic to oil and cook one minute. 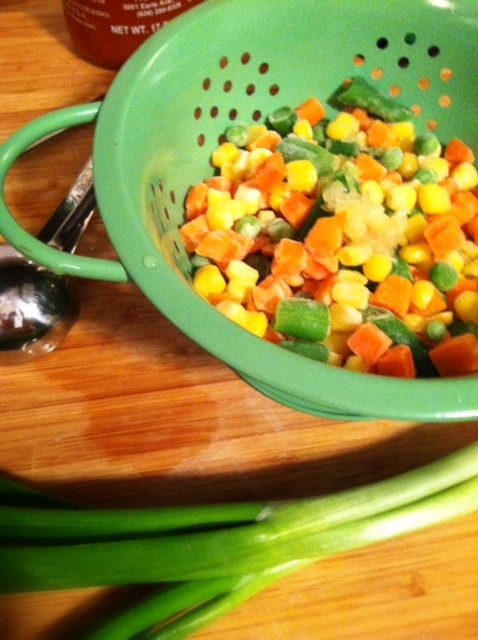 Add thawed vegetables and cook 1-2 minutes more. 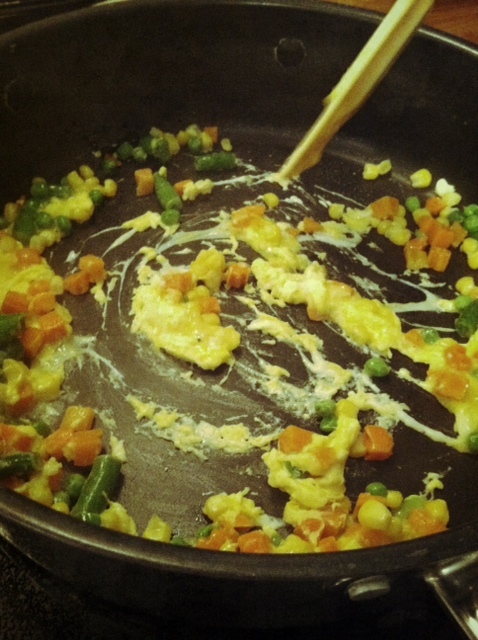 Add egg and cook 1 minute more. 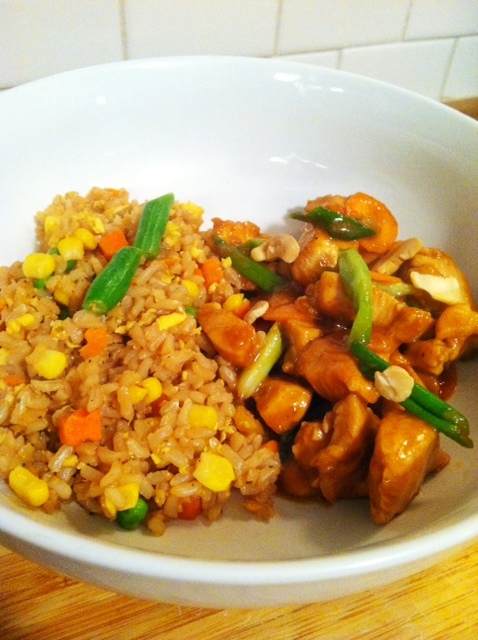 Add rice, pepper and soy sauce and cook 1-2 minutes until everything is cooked through. Add more soy sauce if desired.